Pet licensing in Boulder | Which Collar is Right for Your Dog? No two dogs – or owners – are alike. Some are high-energy; some prefer to lounge on your sofa. Some love meaty bones; others love a good carrot (really!). But there is one thing that all dogs need: love. And one more: a good collar. They allow you to affix your dog’s licenses and proof of vaccinations – as well as your address or phone number in case your pal wanders off. A necessary safety item, there are a variety of styles available. 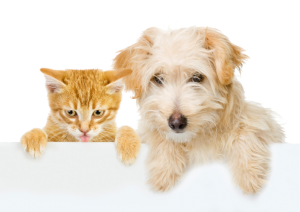 Which is right for your pet? Chain Slip Collars. Also called choke chains, slip collars get a bad rap. These metal-linked collars control your dog by tightening around his neck. Because you cannot control how much it tightens, vets and trainers typically do not recommend using them. They can cause damage to the trachea, oesophagus, blood vessels in the eyes, as well as nerve damage, fainting, and in rare cases, death. If you must use a chain slip collar, use it for training only and learn to use it properly. It should sit high on your dog’s neck, just behind his ears. These collars pose a strangulation risk, so always take them off immediately after a walk or training session. Pinch or Prong Collars. These are scary-looking contraptions! Similar to the chain slip, the prong or pinch collar has a metal loop to which you attach the leash. The loop that goes around your dog’s neck has metal links, or prongs, that look like blunt-edged fangs. When you pull on the “control loop,” the prongs apply pressure on your dog's neck. Again, if you must use a pinch collar (e.g. if you have a stubborn dog who pulls frequently), make sure it is properly fitted (high up on the neck, behind his ears) and snug enough so it won’t slip down his neck. Select an option with the appropriately sized prongs (based on the size of your dog). And again, do not leave it on after your walks. It is a training tool only. Martingale Collars. Many trainers consider the martingale collar to be a much more humane, and effective, training tool. Designed for dogs with small heads (e.g. greyhounds), the martingale is also known as a “limited-slip collar.” It has two loops. You put the larger one around your dog’s neck and attach the leash to the smaller loop. If your dog tries to pull or get out of the collar, the small loop pulls taut, which tightens the large loop. The difference between this and a choke chain or pinch collar is that the martingale only tightens to the size of the dog’s neck and doesn’t choke him. Make sure it is properly fitted: it should be loose when not in use. Everyday Collars. Also called “flat collars,” these are great for all-the-time use, and the best part is that they come in a variety of styles, sizes, and colours. From bright nylon to classic leather, you can find the right fit for your dog’s personal style. Collars with metal buckles may be better suited for large dogs, while a quick-release is often suitable for smaller dogs. Reminder! Always remember to attach your pet’s municipal license to his collar. Breakaway Collars. Another everyday use collar, breakaways offer added safety. If your dog gets caught on something and pulls, the collar’s loop releases. This prevents choking. To use the collar for a walk, simply attach the leash to both loops so your dog can’t break away from you. And again, be sure to attach his municipal tags. Head Collars. These look a bit like muzzles, and sometimes are mistaken for them. Muzzles prevent biting; head collars are a training tool that helps your dog learn to walk properly on a leash. If he pulls, the halter turns his head (much like a horse halter). This can curb pulling. When using a head collar, use a shorter leash so your pup can’t back out of it, and take it off after walks and training sessions. Harnesses. If your dog pulls, you may be tempted to try a harness. The design, which fits around your dog’s chest and abdomen, do not put pressure on his neck. However, this can reinforce pulling behaviours. If your dog is a puller, many trainers recommend opting for a regular collar (or perhaps a martingale). Harnesses are often more suitable for pooches with neck or respiratory issues. Which is the right choice for your pet? It depends on his size and your training goals. No matter what collar you select, make sure it is properly fitted and used. You can ask your vet or a trainer for tips. Then go out and enjoy a walk!